The last requirement Luke had to pass off to get his Wolf badge for Cub Scouts was to read about three people who did something to protect our world. We read about the six winners of the Goldman Environmental Prize. Last night at the Cub Scout pack meeting, Luke got his "Wolf." 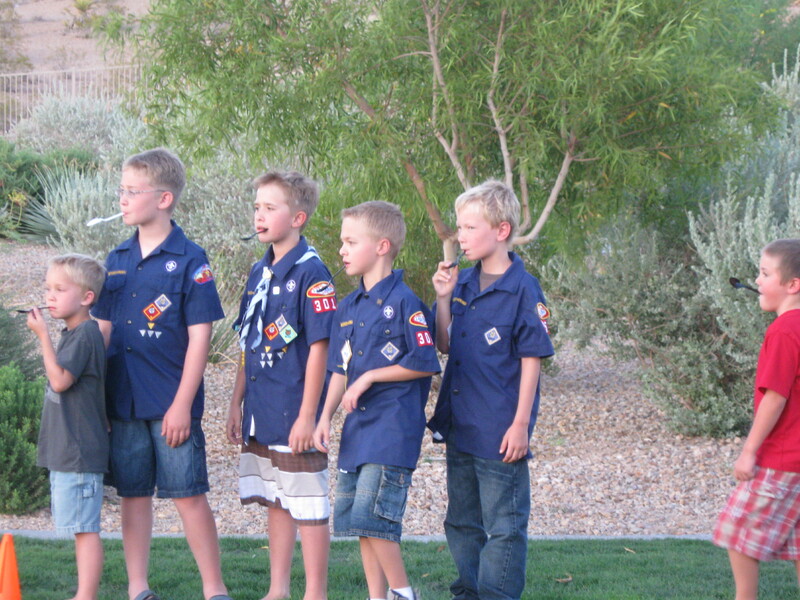 Here is a picture of Luke and some fellow cub scouters doing some cub scouty game.